A pair of visitors takes up the challenge of creating rotary motion to accurately propel a fan powered flying vehicle to various randomly generated height targets. 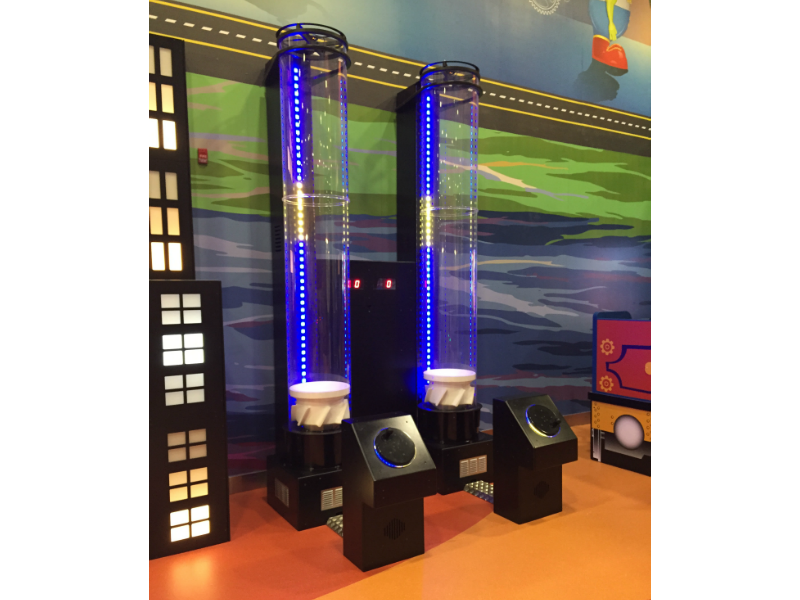 To present a fun activity and stimulate an interest in the basic elements of energy transformations through physical media. 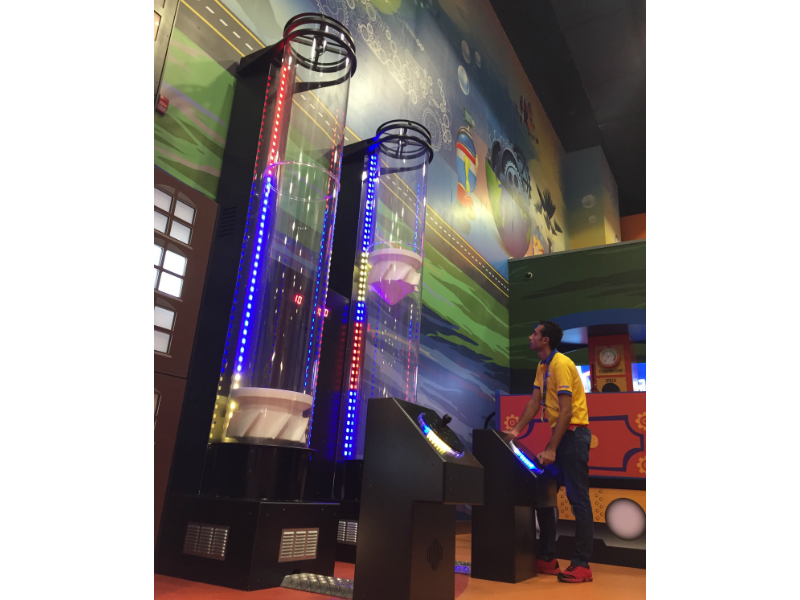 Through speed of rotational motion, visitors generate the energy to power a flying vehicle. The aim is to control the speed and, therefore, the height of the flying saucer to correspond to varying targets.